OPINION: Other European countries face football-related violence - and often respond to it in similar ways to the UK. However, ENABLE, a research project on football policing, is seeking to explore new ways of policing football fans. Ch. Supt. Owen West describes the project's latest visit to see how Swiss police deal with their 'Ultras'. Knives, knuckledusters and ticketless fans: A return to the dark days of football? OPINION: Sussex police recently claimed that a fixture between Brighton and Hove Albion and Crystal Palace represented a return to the 'dark days of football', with the stadium beset by ticketless fans armed with knuckledusters - claims that were later retracted. Chief Supt. Owen West argues that this incident does risk a return to the dark days, in terms of police legitimacy and fan relations, and calls for urgent change. OPINION: Arrests of football fans have fallen by 14% according to recent figures - but the numbers don't tell the whole story. Anecdotal evidence suggests that fans still face confrontational policing and aggressive stewarding at matches. Chief Supt. Owen West calls for clubs, fans and police forces to come together to change the match day dynamic. OPINION: ENABLE UK is a new participant action research project funded by the N8 Policing Research Partnership (N8 PRP), and run in collaboration with Keele Academic Policing Collaboration (KPAC) involving eight police forces, Police Scotland, and the College of Policing. Chief Superintendent Owen West from West Yorkshire Police and Amanda Jacks from the Football Supporters Federation explain. OPINION: 'Community policing' is now ubiquitous as a phrase, but increasingly, 'reassurance' is being subcontracted. Chief Supt. Owen West argues that police need to empower communities through old-fashioned dialogue, not high-tech solutions. OPINION: In the last of his football policing blogs, Ch. Supt. Owen West puts recent public order theory into action. He reports on policing a medium-risk football match (Bradford City vs Blackpool) with a tiny Police Liaison Team (PLT) focused on engagement, rapport building and problem solving. OPINION: Senior police officers have traditionally been reluctant to comment on issues that stray into political territory. However, the recent general election saw several senior officers break with this to publicly highlight the damage caused by budget cuts. Chief Supt Owen West applauds their openness. OPINION: Evidence-based policing has seen tremendous growth in the last few years, but has yet to reach the 'tipping point' where it becomes the norm. Chief Supt. Owen West argues that what's needed is an appetite for risk, and an investment in frontline officers. OPINION: How can football policing be made less confrontational and more family-friendly? Chief Superintendent Owen West of West Yorkshire Police reflects on the work of ‘Enable’ – a multi-stakeholder research partnership aiming to develop good practice in the safety and security challenges facing professional football in Sweden. Evidence-based policing: An inconvenient truth? OPINION: There is an ongoing debate within policing about the value of academic input, and whether evidence-based policing can offer the kind of knowledge that policing needs. Chief Superintendent Owen West looks at the arguments, and calls for academic collaboration to confront the politics of knowledge within the police service itself. OPINION: The death of Ian Tomlinson in 2009 during the G20 protests led to a fundamental re-examination of public order policing in the UK. But why has that learning not been embedded in the policing of football crowds? 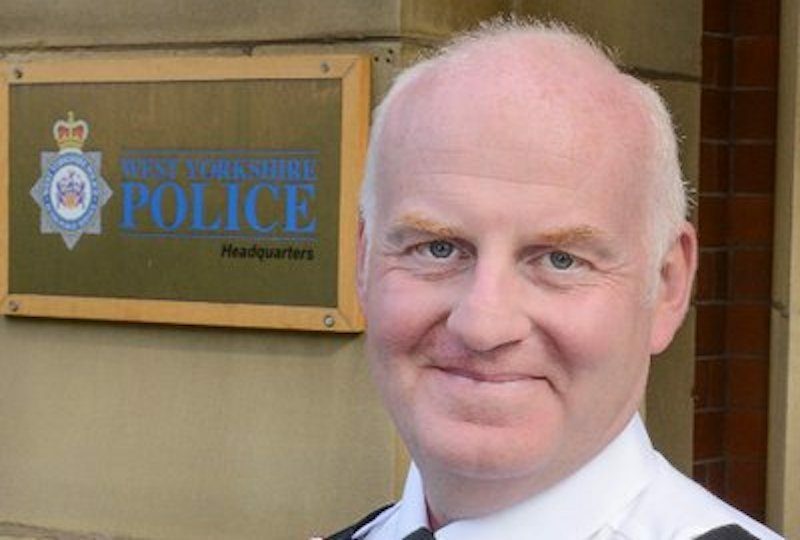 Chief Superintendent Owen West of West Yorkshire Police reports from an expert seminar at Keele University, and asks what are the police waiting for? Owen is born and bred in Yorkshire and hales from a policing family. Owen joined the force in 1989 having the delight of celebrating his 21st birthday at the district training centre in Durham. Since 2000 Owen has held a range of specialist portfolios in public order policing. Owen is an Advanced Silver commander for WYP and leads on large scale force events as lead planner and operational commander, such as national English Defence League demonstrations and counter demonstrations, and is now Director or Corporate Services. Owen holds a Masters Degree with Distinction from Cambridge University in Applied Criminology and Police Management, and is a Research Fellow at Keele University.